Solar rebates cost inflated per household by false data reports. Official data shows the annual solar rebates cost per household in Australia is $32, not the $185-$195 widely reported in media outlets this week. Electricity price data released by the Australian Energy Market Commission (AEMC) shows the Small-Scale Renewable Energy Scheme (SRES) is expected to cost households $32 in 2018-19. The cost will rise minimally over the next two years, figures show, reaching $34 by 2020 and $36 by 2021. The Australian newspaper made the inflated cost claim on Monday. News outlets including Sky News, news.com.au, Seven News and the Daily Mail then repeated it. The reports claimed the nation will take a “$2 billion solar hit” due to federal and state-based renewable energy rebates. Households allegedly had $134 added to annual electricity bills in 2017-18 to subsidise the rebates. This figure would then rise to $185 or $195 (varying according to news outlet) in subsequent years. 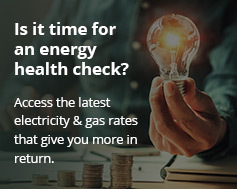 However, the AEMC collated accurate figures in its ‘2018 Residential Electricity Price Trends Review’, released in December. The AEMC report is based on the ‘representative consumer’. Individual bills will therefore vary. New rooftop solar panel systems are entitled to Small-Scale Technology Certificates (STC) under the Federal Government’s SRES. Owners are eligible for varying numbers of STCs based on size, location and date of solar installation along with the level of electricity generated. Each STC has a dollar value, which fluctuates around $35-$40. By redeeming this value in a regulated market, STCs make solar installations significantly cheaper. The scheme is due to run until 2030. Between now and then the value of STC declines each year. However, in July 2018 the Australian Competition and Consumer Commission blamed the SRES for rising electricity prices. As a result it called for the SRES to end by 2021. Meanwhile, Coalition Energy Minister Angus Taylor says the SRES will be allowed to run its course. Its cost would continue to fall each year, he said. Rather than costing money, solar power can help governments, businesses and households slash energy expenditure. According to the Australian Energy Market Operator (AEMO), solar panel and battery systems could save the Federal Government $4 billion in a transforming power market. AEMO made the claims in its ‘Integrated System Plan’ released last July. Investment in transmission rather than generation could also save an extra $2 billion, the report showed. The outgoing CEO of the Australian Energy Council, Matthew Warren, also says wind and solar installations are now cheaper than investing in new coal-fired power stations. They are now the “main game” in the electricity market.